First Lines Fridays is a weekly feature for book lovers hosted by Wandering Words. Judge a book by its opening lines, and not by its cover! Also, feel free to use the banner with your own First Lines Fridays posts! If you really want to hear about it, the first thing you’ll probably want to know is where I was born, and what my lousy childhood was like, and how my parents were occupied and all before they had me and all that David Copperfield kind of crap, but I don’t feel like going into it, if you want to know the truth. Holden Caulfield is a seventeen- year-old dropout who has just been kicked out of his fourth school. Navigating his way through the challenges of growing up, Holden dissects the ‘phony’ aspects of society, and the ‘phonies’ themselves: the headmaster whose affability depends on the wealth of the parents, his roommate who scores with girls using sickly-sweet affection. 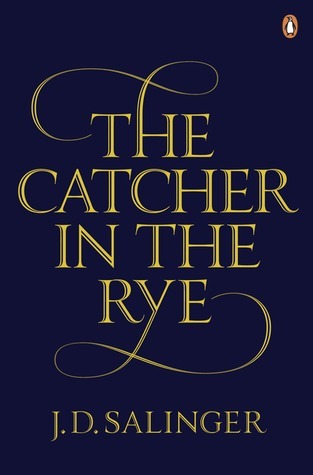 Written with the clarity of a boy leaving childhood behind, “The Catcher in the Rye” explores the world with disarming frankness and a warm, affecting charisma which has made this novel a universally loved classic of twentieth-century literature. This book has been on my TBR for as long as I can remember, but after reading that (very long) first line, I will make reading it a priority – I am captivated! Also, if you want to try First Lines Fridays yourself, copy and paste the rules above and tag me/comment below, so I can take a look! Great! Let me know if/when you do it as I’d love to check it out 🙂 I’m glad you like the book, I think with your recommendation and the interesting first lines I’m definitely going to read it next! Thank you for your comment – your review is great, and the themes of identity in the book sound really interesting. I can’t wait to finally read it! That’s awesome news! I can’t wait to read it!